Millionaire Replicator is a Scam - Review with Proofs! Millionaire Replicator found at millionaire-replicator.com is promising you a software that replicates the trades of top traders. Don’t proceed further before you read this review, as Millionaire Replicator is a scam. Read our detailed Millionaire Replicator review to find out the truth behind the scam. Millionaire Replicator is a scam – and it’s not free, too. Millionaire Replicator scam starts off its sales video by bashing the other automated binary trading softwares, in an attempt to stand out from a sea of scams. The alleged owner of Millionaire Replicator software, Sean Valentine describes his software as the only real automated binary trading software because it works different from the other scams. Instead of generating random trading signals, Sean says that his software is replicating the trades of real traders who generate more than $1,000,000 monthly profits. However, there is no way to verify the existence of these traders apart from a name given in the sales video – Matt. In fact, there is a high possibility that this is just a generic automated binary trading software disguised as a trade copier. Since Sean Valentine is putting his entire reputation on Millionaire Replicator, we decided to find out more about him. And what we found isn’t too encouraging. All we have about Sean Valentine is a name and a photo of him, we decided to begin our search from there. 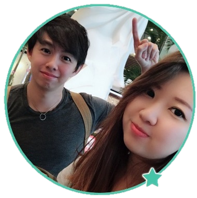 We tried to search for his name or profile on the internet, but there is no such person in the field of binary options. Next, we turned to the photograph to look for more clues, and did a reverse search using Google. What we found was a series of unrelated websites using the exact same photo of Sean Valentine. What does this tell us? The photo of Sean Valentine is just a stock photo that can be bought online. Multiple websites have bought the same photo and used it on their websites. Sean Valentine does not exist. It is just a fabricated identity used to promote Millionaire Replicator scam. We have a conclusive evidence to prove that Millionaire Replicator is a scam, but we’ll leave it to the later part of this review. Now let’s find out what Millionaire Replicator is promising with their software. How Does Millionaire Replicator Scam Work? The Millionaire Replicator software is no different from the other automated binary trading softwares in terms of how it operates. It rides on the hype of generating profits automatically, and the fact that you don’t need to have any trading experience in binary options. You only need to fund your account, get Millionaire Replicator software running, and it will place trades automatically for you. The only difference with Millionaire Replicator is that it claims to copy the trades from real traders. But the question remains – will it really generate profits for you, or will it deplete your entire investment account just like other binary software scams? Some of you may have realized that this is the disclaimer for Trendtrader, instead of Millionaire Replicator scam. And you’re right, the scammers behind Millionaire Replicator copied the disclaimer from Trendtrader scam and didn’t even bother to change it. The risk disclaimer is linked by a fine print at the bottom of their sales page. If you want to verify the authenticity of the quoted terms here, you can view the full disclaimer by clicking on “Disclaimer” fine print at the very end of Millionaire Replicator’s sales page. The disclaimer is very hard to read with all capitalized letters, and it’s deliberately made so to discourage you from reading it. We do not purport this as “get rich scheme”. Our sales materials are intended to express our opinion of earnings potential. Even though Millionaire Replicator promises you thousands of dollars of profit per day, you shouldn’t view it as a “get rich scheme”. That’s because scams like Millionaire Replicator that promise exorbitant returns are fake, and illegal in many jurisdictions. Despite being a fully automated trading software, somehow your level of success with Millionaire Replicator depends on your knowledge, techniques and various skills. Compare this term to what Millionaire Replicator scam claims in their sales materials (no trading experience is needed), and you’ll see how they try to escape from their irresponsible promises. The earnings and results shown in the sales materials are intended to express the scammers’ own OPINION of Millionaire Replicator’s earning POTENTIAL. To put it simply, the trade results shown are not real! Despite boasting how Millionaire Replicator copies profitable trades from professional traders, there’s no guarantee that you will achieve any results with the software. In fact, you are most likely going to lose all your deposits. Fact #3 alone should be enough to alert you and steer you away from Millionaire Replicator scam. How can you trust a software that doesn’t even report real earnings? Let alone the fact that their disclaimer is copied word for word from another internet scam. These terms and conditions are not here to give you a fair warning as a consumer. The sole purpose of this document is to protect the scammers from legal actions when you lose all your money trading with Millionaire Replicator software. If they wanted to be honest about the risks of using the software, and the fact that all results shown are only opinions, they would’ve told you in the sales materials. Instead, they chose to present you with fake promises. If you decide to sign up for Millionaire Replicator, you’ll have to register for a broker account through their sales page (which is an affiliate link). The scammers will earn a sum of referral fees as soon as you deposit into the account. I was assigned to Swiss Royal Banc, an affiliated broker with Millionaire Replicator. The minimum deposit with this broker is $250. Even if you already have an account with their recommended broker, you have to register for a new one using a different email address. This is because the scammers behind Millionaire Replicator cannot earn their referral fees unless you sign up for a trading account through their affiliate link. And what happens when you finally deposit the money and lose all of it using their automated software? You are left on your own and you cannot take any legal actions against the scammers, because it is already stated in the disclaimer that they are not responsible for your losses. 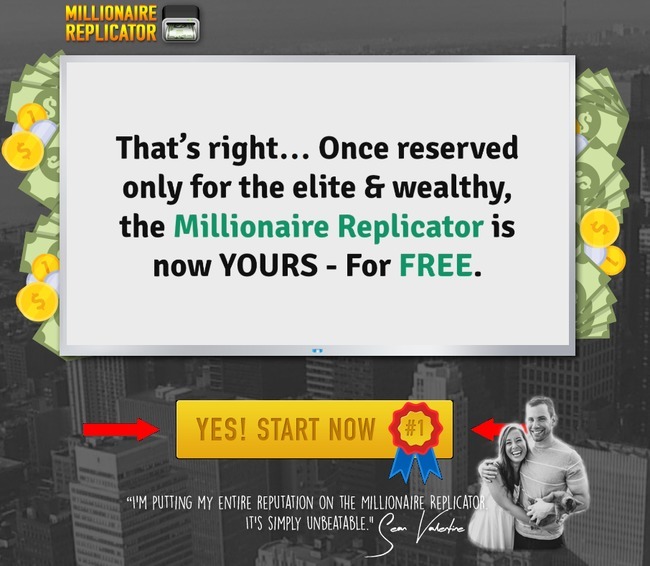 Is Millionaire Replicator a Scam? YES, MILLIONAIRE REPLICATOR IS A SCAM. As we’ve said in the review earlier, we don’t recommend binary options trading as a way to make money online, at all. It’s not that different from gambling, and using an automated trading software is no different. You are essentially putting your hopes and entire investment in a piece of software that gambles on your behalf.